I think I am going to enjoy this new way of working enormously! It is therefore eminent that our education system should adapt. Next to the traditional subjects, schools should pay more attention in developing a future-based mindset with related skills such as collaboration, creativity and adaptability. This change is subscribed by the World Economic Forum (WEF). In their highly recommended meta-study ’21-st century skills’, the WEF also provides the answer: schools should introduce new ways of learning, such as project-based learning. 21-st century competencies: problem solving and critical thinking, creativity, communication and collaboration. 21-st century character skills: curiosity, initiative, persistence/grid, adaptability, leadership and social and cultural awareness. Scrum is a project based learning framework where students attain their learning objectives by completing a project through working in small teams. 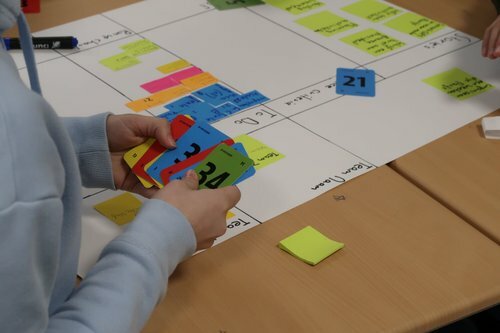 This in itself is not new, but Scrum as a framework is new and brings you specific roles, artefacts and events that gives both the student and the teacher that structure which is normally missing within project-based learning. On top, students may attain their knowledge faster and grades are supposed to be higher. Scrum is not a hype. Scrum exists since 1995 and is still developing. 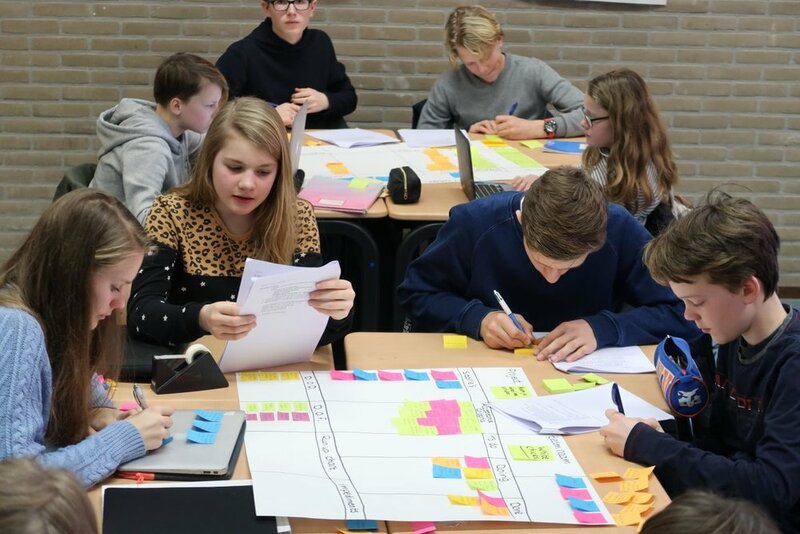 Schools become increasingly interested in Scrum, where the Netherlands is clearly taking the lead. How does it work? What can be shared? 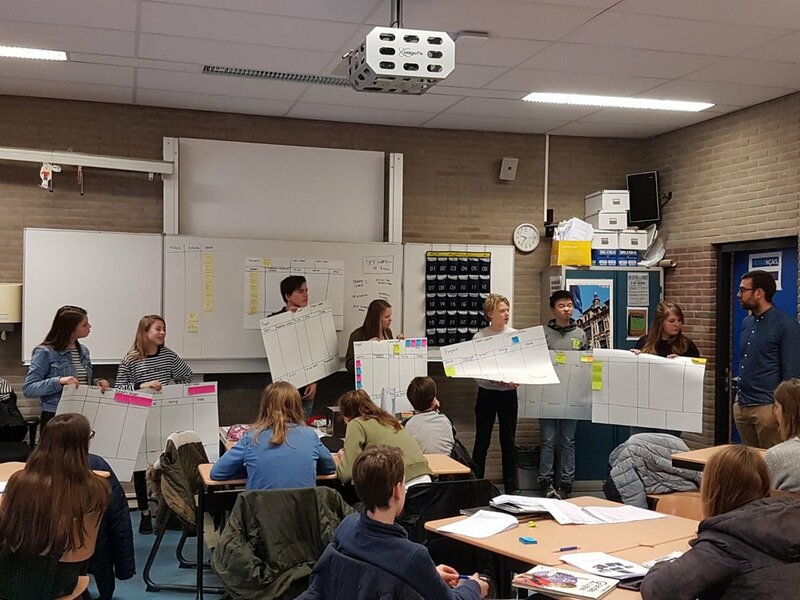 In order to blog with authority, I am currently conducting a Scrum intervention at a school in the Netherlands with 180 students. This intervention analyses the differences between traditional teaching versus learning with Scrum. More-over, we look closely to the experiences from the students and their teachers. This student has never worked on French before until now. He has been working with French for the last 3 lessons. The blog series: what’s next? This first blog is about the call for the schooling system to start focusing on developing 21-st century skills, in which Scrum has a large role to play. In the next blogs I will take you along in the world of the school: what does it take to introduce Scrum in a school? Which tweaks do you have to make to Scrum in order to prosper most within a class room environment? What are the experiences of the students and their teachers? How to deal with specific situations? And I will share both the good as well as the challenges. The introduction of Scrum within the class room is one of our passions. Feel free to contact us if you have any questions. Continue with Part 2.